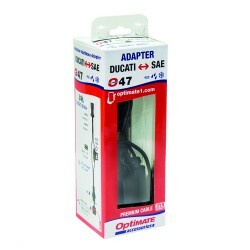 O47 OptiMate SAE to Ducati Lead. 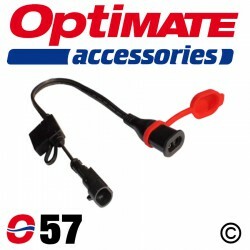 Special fused accessory plug lead for use with SAE OptiMates allows connection to the 12V power sockets fitted to some Ducati motorcycles. 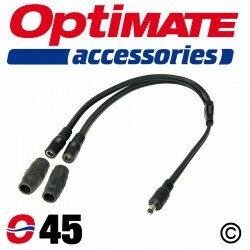 It can be a simpler alternative to fitting the O1 eyelet lead to the battery. It allows easy connection of an OptiMate to a Ducati and is especially helpful where the battery is not easily accessible. 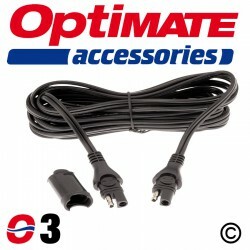 As well as enabling easy connection of your OptiMate charger, the SAE connector can also be used to connect to other OptiMate accessories - e.g. 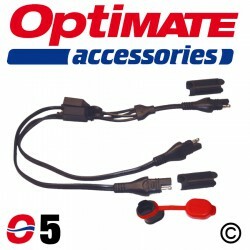 to power USB devices, heated grips, portable devices etc. 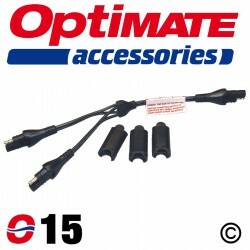 Use of the O15 Y-splitter as well enables connection of more than one accessory. 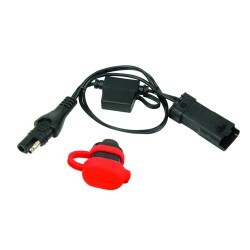 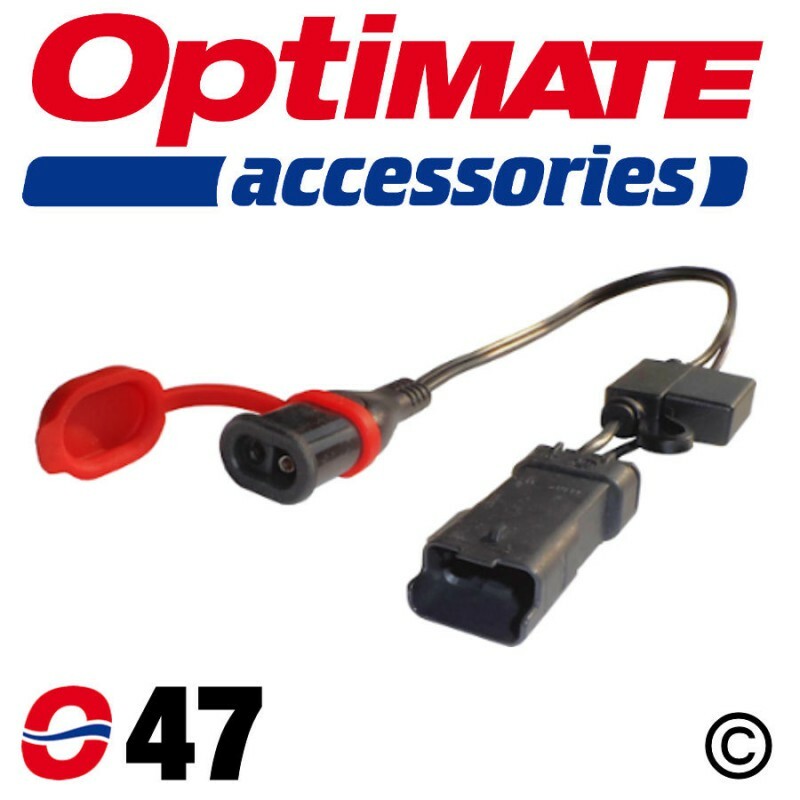 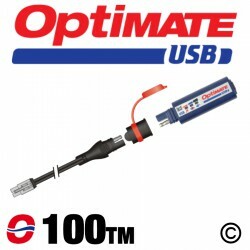 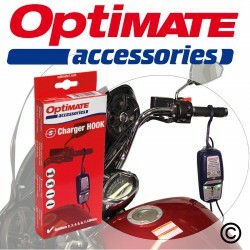 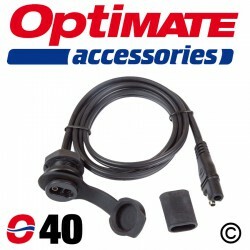 Get one for your Ducati for quick and easy connection of OptiMate and OptiMate accessories.